After 'chicken tax,' a flood of foreign trucks? Toyota's Hilux nameplate left U.S. showrooms in 1976, but it has been a mainstay around the world with some 16 million units sold globally in its nearly 50-year history. WASHINGTON -- In the background of the free-trade debate that has raged in Washington this summer, a sacred cow of U.S. auto and trade policy is under threat. The 25 percent tariff imposed on imported pickups and commercial vans, known as the "chicken tax," stands to be significantly rolled back through big-ticket trade deals being hammered out with Pacific Rim nations and the European Union. With the legislative pieces now in place, the Trans-Pacific Partnership and Transatlantic Trade and Investment Partnership are closer to becoming reality. The Pacific Rim deal seeks to create a 12-nation free-trade bloc encompassing some 40 percent of the world's economy. The EU deal would lower trade barriers and seeks to align regulations between the U.S. and EU. Both would remove the chicken tax. Critics of the tax say it has priced imported trucks out of the market, shielding the Detroit 3's biggest profit machine from robust foreign competition. The tariff also has had other effects, experts say, such as stifling pickup innovation and motivating Japanese automakers to build U.S. factories. "It has provided a competitive advantage for the domestic pickup producers," says Daniel Ikenson, an economist and trade expert at the Cato Institute, a Washington pro-business think tank. "The response of the Japanese manufacturers has been to invest in production lines here in the United States." After months of heated debate, Congress passed a bill last week that would give President Barack Obama authority to negotiate and send free-trade agreements to Congress for an up-or-down vote, free of amendments. With the so-called fast-track authority ready for Obama's signature, the wheels on the Pacific treaty can shift into high gear, and a final version of the deal could go to Congress by the fall. The EU deal is expected to take longer to finish. Truck lovers have long hoped that removing the tariff would create a flood of new, smaller pickups that today are available only overseas. But trade watchers and auto industry experts agree that a barrage of new pickups would be unlikely. Free-trade deals would roll back the tariff gradually over several years, even decades, they say. The Hilux nameplate left U.S. showrooms in 1976, but it has been a mainstay around the world with some 16 million units sold globally in its nearly 50-year history. 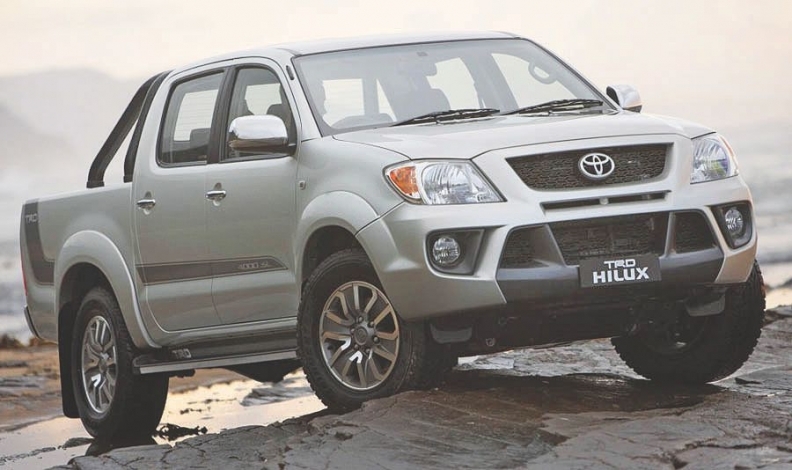 Toyota revealed the eighth-generation Hilux in May at the Bangkok auto show. In crew cab configurations, the redesigned Hilux has a few more inches in length and height than the 2015 Tacoma. The Blue Oval brand killed its compact pickup for the U.S. in 2011 but revealed an updated 2016 Ranger for overseas markets in May at the Bangkok auto show. The global Ranger is bigger and beefier than its U.S. predecessor. Mazda discontinued U.S. sales of its B-series pickup after the 2009 model year, when it was essentially a rebadged Ford Ranger. Overseas, Mazda's midsize truck is called the BT-50. Volkswagen's U.S. dealers and fans alike have clamored for the Amarok, but it's unlikely to arrive stateside anytime soon. The first modern pickup from VW's commercial vehicles unit, the Amarok is roughly the size of a Nissan Frontier. While Nissan and Toyota have spent billions on their U.S. pickup operations, most brands from South Korea and Europe have stayed out of the U.S. pickup market. Just six brands offer pickups in the United States, compared with 19 that offer compact crossovers and 14 that sell midsize sedans. Krafcik: Pickup segment "has the least competitive intensity." 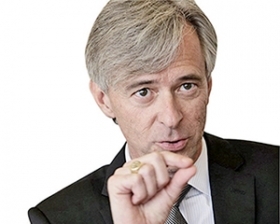 That contrast shapes the view of John Krafcik, president of TrueCar and former CEO of Hyundai Motor America, who says that the pickup segment "has the least competitive intensity of any segment in the industry." Krafcik says the U.S. would "definitely" get more pickups if not for the chicken tax. The tariff has all but required pickups to be assembled in the United States to be sold here, he said. The cost of installing pickup manufacturing capacity from scratch -- building a plant, paying for tooling, engineering the truck and producing it -- can cost from $2 billion to $3 billion, he said. Such a steep investment requires manufacturing at a large scale. As a result, Krafcik said, product planners create trucks to compete in the full-size segment, where they see the biggest chance of selling at volume. That means automakers can't afford to take a risk on small-volume trucks with different sizes, bed and cab configurations or experimental storage and packaging designs. "I think what is lost the most is low-volume experimentation and innovation in pickups," Krafcik said. "As soon as you get to that level of investment, the risks become so great that the solutions become fairly mainstream." The two free-trade agreements would roll back the chicken tax affecting nearly 40 nations -- 11 through the Trans-Pacific Partnership and the 28 that make up the EU, through the Transatlantic Trade and Investment Partnership. First, few countries involved in the talks have pickup assembly plants. Volkswagen builds the Amarok midsize pickup in Germany, but, a company spokesman said, "If you look at where we produce vehicles, to bring an Amarok from Hanover, even if the chicken tax were repealed, would be a bit of a stretch." Much midsize pickup production capacity outside the United States is concentrated in Thailand, but that country isn't involved in the TPP talks. In Thailand, Ford builds the recently redesigned Ranger, Mazda produces the BT-50, Mitsubishi assembles the L200 and Toyota makes the Hilux. But the country could be a wild card -- Thai officials have expressed interest in joining the TPP once the deal is completed, and the TPP is designed to allow other nations to do that. Second, the chicken tax is expected to be rolled back slowly. Obama administration trade negotiators have said the tariff with Japan would phase out on the longest possible timeline, as part of a bilateral U.S.-Japan side deal proceeding alongside the TPP talks, says Matt Blunt, the former Missouri governor who now runs the American Automotive Policy Council, a Washington trade group that represents Ford, Fiat Chrysler and General Motors on trade issues. Blunt said it's only fair because barriers in Japan other than tariffs have effectively kept U.S. automakers out of the country. "We believe it could take as many as 25 years to open up the Japanese market given that it's the most closed market in the developed world today," Blunt said. Third, pickups sold overseas aren't designed to meet rigorous U.S. crash and emissions regulations -- partly due to the high upfront cost imposed by the tariff -- and they're unlikely to resonate with U.S. truck buyers, says Dave Sullivan, an analyst with AutoPacific. It's not uncommon to find Ford, GMC, Chevrolet and Ram pickups loaded with leather interiors, premium audio systems and high-tech features that push the sale price upward of $50,000 -- status symbols as well as cargo haulers. Trucks found overseas are Spartan by comparison, often sold with manual transmissions and turbodiesel four-cylinder engines without the hauling power of full-size American pickups. "When you look at how we treat our trucks and how people do around the world, a lot of them wouldn't be able to withstand some of the same things, and they're not designed with American needs in mind," Sullivan said. "We've come to have a very refined and sophisticated pickup truck buyer." Fourth, some automakers told Automotive News that the chicken tax is not the only barrier keeping their smaller pickups out of the United States. Toyota spokesman Scott Vazin said the size of the Hilux would make it a "tweener" in the U.S., overlapping too much with the full-size Tundra and midsize Tacoma. A Volkswagen spokesman said the company, which has said the tariff was the biggest impediment to selling the Amarok in America, now also doubts whether the truck is the proper size for the U.S. And a Mazda spokesman said the BT-50 would be a mismatch for Mazda's sporty, affordable-premium U.S. brand identity. Despite the challenges, the prospect of fat profits might prompt automakers to adjust to a defanged chicken tax, Krafcik says. Over time, that could mean more competition. "I think it would take some time, but with clarity around that guideline, we would see opportunity for those products," Krafcik said. "You would certainly be creating the conditions for manufacturers with production facilities in [Pacific treaty] countries to provide low-cost compact pickups to U.S. truck buyers."